"Triple-A" excellence for the shooter on a budget. And by "Triple-A," we mean "Attractive, Accurate and Affordable." 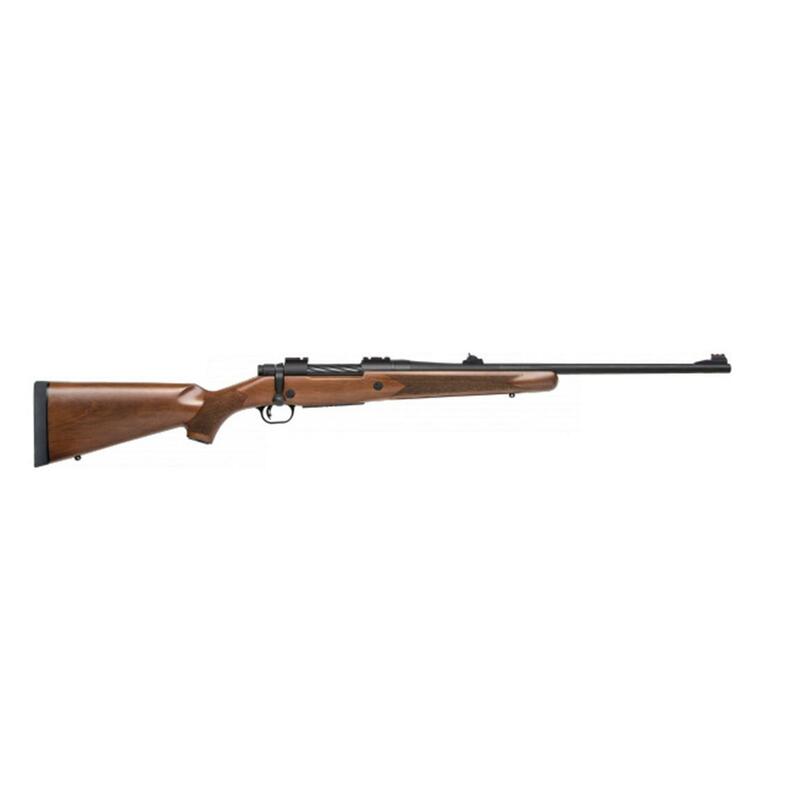 Mossberg blends a quality button-rifled barrel with target crown, adjustable Lightning Bolt Action TriggerTM, and smooth bolt operation to perfection, creating a Hunting Rifle that looks great, feels great, shoots great. If you want to stretch your hunting dollar as far as it'll go, look no further. Mossberg Patriot, Bolt Action, .338 Winchester Magnum, 22 Barrel, 4+1 Rounds is rated 5.0 out of 5 by 1. Rated 5 out of 5 by bgood from Great solid rifle Having a Mossberg Patriot in 22-250 and very happy with it, I wanted this large caliber Rifle to see how it would do. Operates smoothly, has a good fit, and accurate. I went with the iron sight model so I could use see thru weaver rings. This should make a great hog killer. Have been a club member for years and have saved many hundreds of dollars. Shipping was speedy to my FFL.